Ok, no opera, but I did get to enjoy myself. 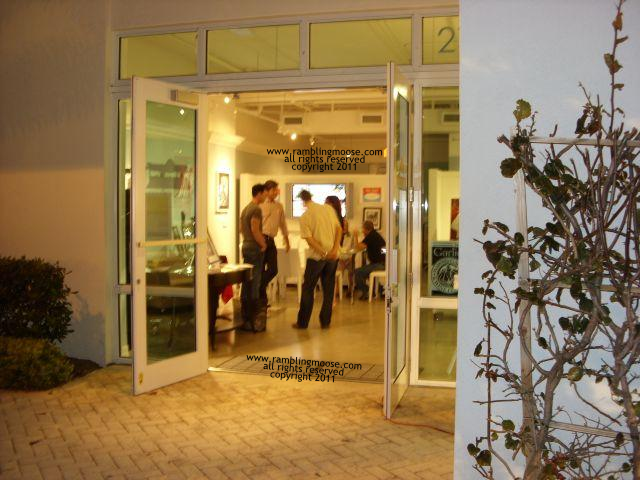 I was one of the folks who staffed the Wilton Manors Main Street Office for most of Friday night. I did manage to slip out and enjoy the cool Friday night air while the Island City Art Walk was at it's peak and I have to say it was a resounding success. 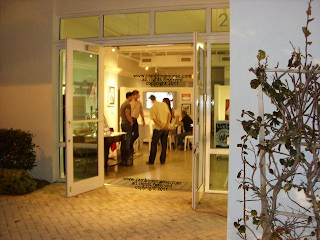 Press release speak aside, if you have never been to an Island City Art Walk in Wilton Manors on Wilton Drive - get here. It's a wonderful time in a wonderful place. The idea (in the most general of terms) is that many businesses host artists and their art and get some great exposure to a public that will appreciate what is offered. It shows off the art and the businesses in a complementary light and you get to actually speak with the artists which is something that doesn't always happen. Wilton Drive is a place unlike any other, and I have seen this sort of affair done in a Mall many times, and it just never felt right. Too one thing or another. On the other hand, through the efforts of Mary Ellen Charapko and every one else participating, the atmosphere felt like everything just went right. That ease and pleasure happens with a lot of behind the scenes preparation work. Nothing ever really just happens on that scale without being prepared, and the quality of all of the exhibits and the venues were obvious. The other thing that stuck with me was that I kept overhearing comments. The comments from the patrons were that there were more people and it "Just Keeps Getting Better". I think they're right. I'm looking forward to next month.